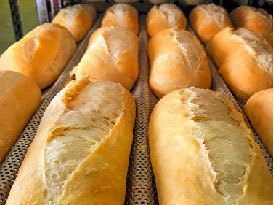 A great Pickleman’s sandwich begins with Great Bread, and can be customized to meet your liking. 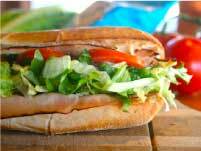 Lightly toasted on the outside and warm and chewy on the inside, you are guaranteed to love our gourmet sandwiches. 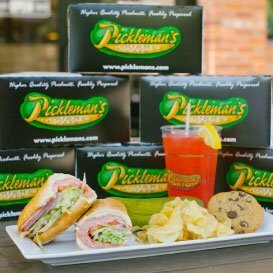 Pickleman’s sandwich selection ranges from classic subs like our Italian Club and Meatball with Marinara, to more unique eats like our Chipotle Chicken and Pizza Guy sandwich. 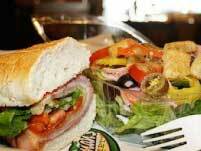 Each sandwich at Pickleman’s is made with the utmost care and the freshest ingredients available. Start customizing your next meal online today! Looking for Healthy Salad Delivery options? Look no further. Each of our salads comes in a half or full size with your choice for Fresh Chopped Romaine or Triple Washed Spinach. 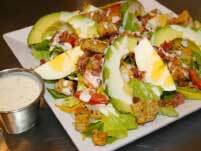 Our salad selections include the Avo-Cobb, Walnut Cranberry, Italian Chop, Buffalo Chicken, Asiago Caesar, and more. With each order you have the option to do a “Pick 2 Combo” where you can choose 2 of any soup, half sandwich or half salad. Is there truly a combination better than a classic gourmet sandwich and cup of soup from Pickleman’s? We think not. 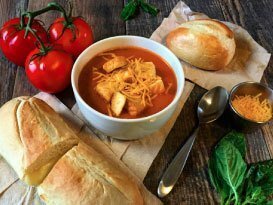 At Pickleman’s Gourmet Café, our menu includes a fresh soup selection that is hand crafted by the chefs at Pickleman’s. 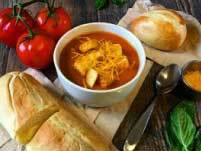 Our soups include Tomato Basil Bisque, Baja Chicken, Broccoli Cheese and Lentil Chili! Choose a classic combination of grilled cheese and tomato soup for delivery, or mix it up and try a Turkey Bacon Club sandwich with our Broccoli cheese soup for a fan favorite. Your options are endless! Pickleman’s Gourmet Café is more than just a sandwich shop. We also offer quality pizzas that can be picked up or delivered right to your door! Each pizza is made with the freshest ingredients for a profound flavor profile! Our Artisan style pizzas are all made with a crispy thin crust that is part of our signature recipe! Pickleman’s pizzas are perfect for sharing with a group, or enjoying solo at home. Choose from a variety of pizzas including our Chicken Giardiniera: chicken, giardiniera peppers and marinara, Buffalo BBQ Pizza, Veggie, or classic Cheese Pizza amongst other combinations. 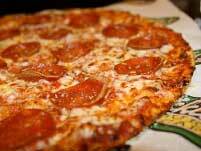 Start customizing your pizza order today with our Online Ordering service. Can’t decide on what to order? Debating between a salad and sandwich? Maybe our signature soups are calling your name? Well fear not, for Pickleman’s has a solution that will satisfy your taste buds! Our “Pick 2 Menu” allows customers the opportunity to choose any 2 items on our menu that include an 8 ounce soup, half sandwich, or half salad. Mix and match with your favorites or try a new combination that you never would have thought of before! We offer a wide variety of cratering options for any sized group. 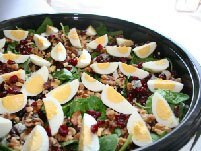 Our Catering Salads come in two sizes, large which feeds 20 and small which feeds 10 people. Box Lunches can be customized for each team member with your choice of sandwich, chips, cookies, or pickles. For longer events our croissant trays are perfect and come with 10 croissants cut in half to feed 10-15 people. Start your catering order here! Choose your favorite toasted sandwich and sides. Group discounts for 20 or more. Sides include chips, whole pickles, half pickles, and homemade chocolate chip cookies. 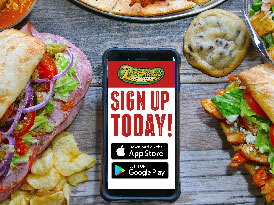 Set up your first Pickleman's catering order today! We are Now Hiring Delivery Drivers, In-Shop Associates, and Managers. You can apply online or stop in to one of our locations today. 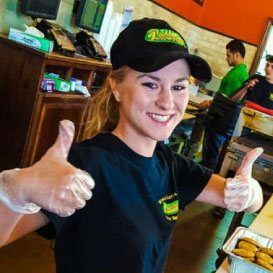 Eat delicious sandwiches, get delicious sandwiches for free! 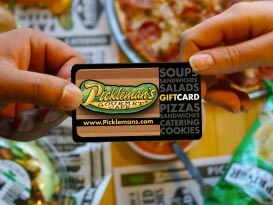 Now you can buy Pickleman's Gift Cards online! We recently removed all chicken stock from our Broccoli Cheese & Tomato Bisque Soups!